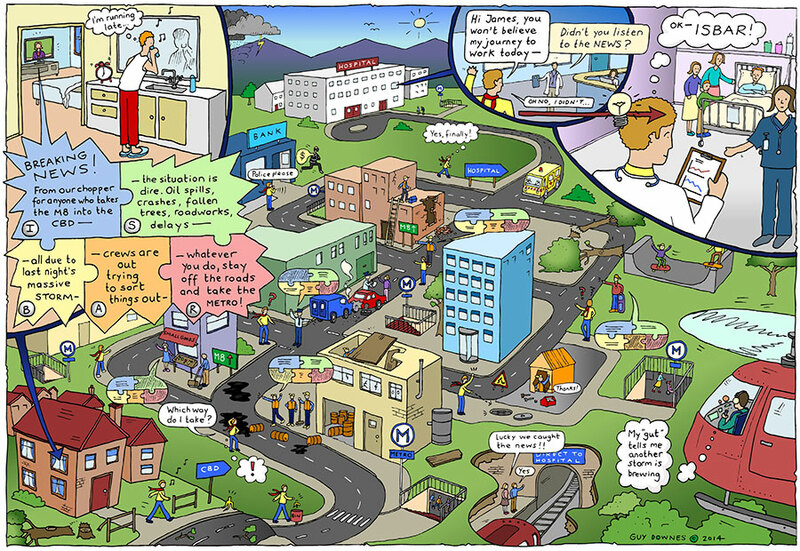 Using a compelling visual metaphor, Journey Maps are important organisational stories turned into a creative picture on a single page. Successfully sharing an important organisational story, whether it be a strategy, vision or cultural change, can be a complex process. Getting cut-through, alignment, engagement and maintaining momentum around the story with key stakeholders can also be challenging. 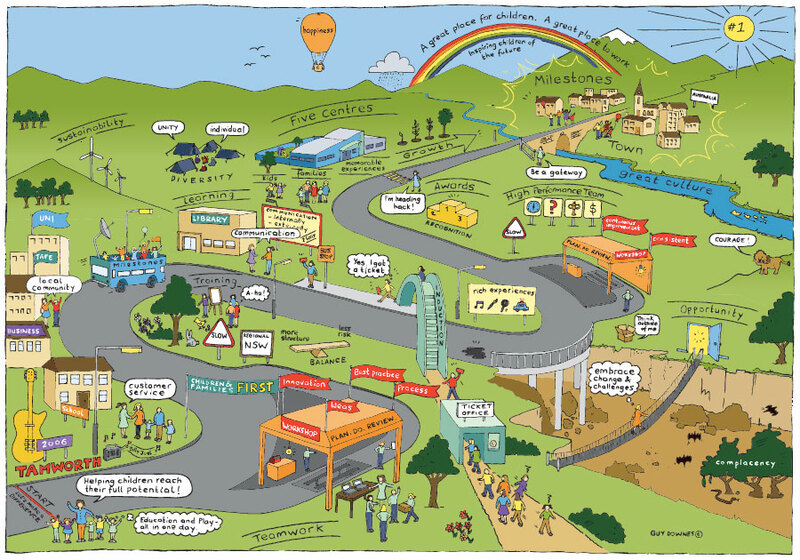 Journey Maps allow you to overcome these hurdles as they share the fullness of a detailed initiative along with the clarity and simplicity of a great story – all wrapped up in a colourful and creative picture that grabs attention and gets people curious and ‘leaning forward’. We lead a simple, rigorous, fast-paced yet creative workshop process to get your key stakeholders to co-create their Journey Map together, helping them to agree on the story and what the creative visual metaphor should be. We then take the output from the workshop away and finalise it as a static or interactive digital colour picture. What are the benefits of creating a Journey Map? Unlock: the workshop process is designed to unlock your team’s imagination about the things that matter most in your story. Build: the workshop also helps build ambassadors for the final Journey Map so it is easier to socialise and share the picture when it is launched. Share: the final Journey Map can be used as a powerful communications tool as it allows people to consistently tell a critical organisational story in their own voice. Engage: the beauty of using a picture (and not Powerpoint or a word-heavy document) is it makes the story even more accessible and helps spark conversations and dialogue. Continue: we can help you create a campaign and supporting tools to roll out the Journey Map as a communications tool using a variety of engagement methods to connect people to your story over time and in different scenarios. 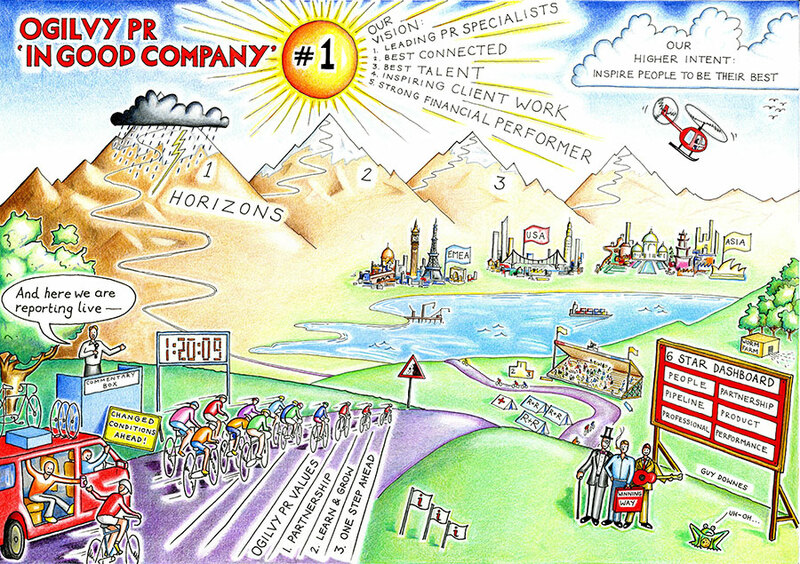 Working closely with the Ogilvy PR CEO and a member of the internal communications team, I developed this Journey Map which was used to bring clarity to the agency vision, strategy and approach for 2009 and beyond. To bring the story to life and drive engagement, a cycle team was selected as the metaphor and all the key elements of the story and strategy were represented as icons and images in the picture. 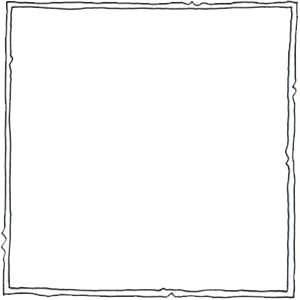 The Journey Map was hand drawn to give an organic storybook ‘look and feel’. The end product was used extensively in internal presentations, team huddles and meetings as well as desk-side posters to share the company story in a memorable, fresh and creative way. Using my Sketch Speak visual communication approach, we worked with Western Health to create a series of development materials that aim to develop awareness around various aspects of patient safety. The team developed this Journey Map to help explore the system dynamics that surround patient hand over and the ISBAR framework for effective communication. 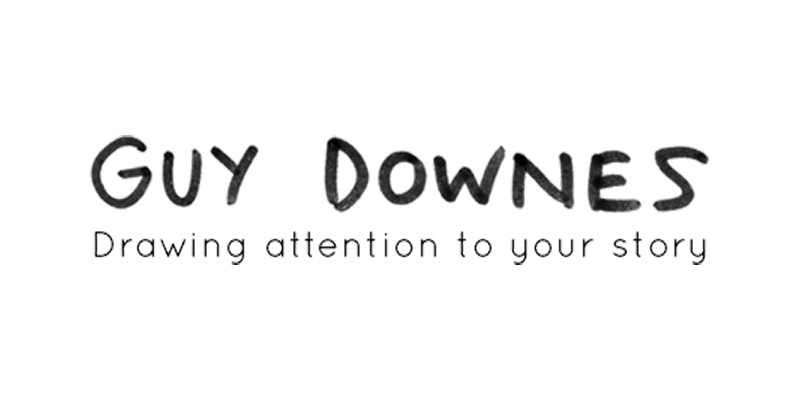 The tool is aimed at health care professionals working in acute health care environments. Milestones National Group was embarking on a substantial business expansion and they were looking for a way to align their team and clarify their future vision. Kicking-off the process with a Journey Mapping workshop, we worked with the whole senior team to create a Journey Map that explores elements of the organisational history, the current culture and the team’s vision for the future. The Journey Map, created using my Sketch Speak visual communication approach, has been used extensively as a communication and storytelling tool in the staff on-boarding process as well as with internal and external key stakeholders.